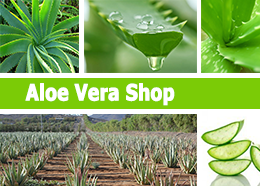 The miraculous aloe leaf has been found to contain more than 200 compounds. 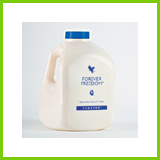 A product of our pat­ented aloe stabilization process, our gel is favored by those looking to maintain a healthy digestive system and a natural energy level. This rich cocktail of pulp authenticates this product just as nature intended. Taken daily, either alone or with pure fruit juice, it is one of the best health drinks available! Ingrédients: Aloe Vera Gel, Sorbitol, Ascorbic Acid, Citric Acid, Potassium Sorbate, Sodium Benzoate, Xanthan Gum, Tocopherol. Directions: 30 ml (2 soup spoons) 3 times a day. Shake before serving. To preserve at the cool, at the dry and shielded from light. Do not exceed the recommended daily dose. Hold out of reach young children. The Pulp of Aloe is a food complement and must be used within the framework of a healthy lifestyle and not be used as substitute of a varied and well-balanced diet. 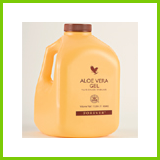 This product contains all of the goodness found in our Aloe Vera Gel, plus the added ben­efits of cranberry and apple. It clean the urinary tract, cranberries provide a high content of vita­min C. They are also a natural source of healthful proanthocyanidins. Apple juice contains many flavonoids as well as pectin. The flavor is natural and prepared from a blend of fresh cranberries, sweet and mellow apples. Ingrédients: Stabilized Aloe Vera Gel, Fructose, Natural Cranberry and Apple Juice Concentrates, Sorbitol, Ascorbic Acid, Citric Acid, Potassium Sorbate, Sodium Benzoate, Xanthan Gum, Tocopherol. Directions: 30 ml (2 soup spoons) 3 times for day. Shake before serving. 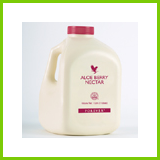 You can drink Aloe Berry Nectar with meals or alone. To preserve at the cool at the dry and shielded from the light. Do not exceedthe recommended daily dose. Hold out of reach young children. It is a food complement and must be used within the framework of a healthy lifestyle and not be used as substitute of a varied and well-balanced diet. Glucosamine Sulfate and Chondroitin Sulfate - two naturally occurring elements that have been shown to help maintain healthy joint function and mobility - and married them with our Aloe Vera gel. Glucosamine Sulfate and Chondroitin Sulfate are natural substances that help maintain the structure and health of cartilage, keeping this natural “shock absorber” well hydrated. As the body ages, it is less able to produce these natural elements of healthy cartilage which can then lead to “wear and tear” on the joints. Ingrédients: Stabilized Aloe Vera Gel, Sorbitol, Natural Orange Juice Concentrate, Fructose, Glucosamine Sulfate, Chondroitin Sulfate, Natural Orange Flavor, Methyl Sulfonyl Methane, Ascorbic Acid, Citric Acid, Potassium Sorbate, Sodium Benzoate, Tocopherol, contains Shellfish (Shrimp, Crab, Lobster). Directions: 30 ml (2 soup spoons) 3 times for day or 90 ml. Shake before serving. To preserve at the cool, at the dry and shielded from light. Do not exceed the recommended daily dose. Hold out of reach young children. It is a food complement and must be used within the framework of a healthy lifestyle and not be used as substitute of a varied and well-balanced diet.